Looking SE into the bay from The Domain, From just above the Boy Charlton Pool. Woolloomooloo Bay is a most complicated shoreline, littered with wharves, baths, boatsheds, rowing sheds, and jetties, which metamorphosed remarkably over the time between 1860 and 1968. Understandably. 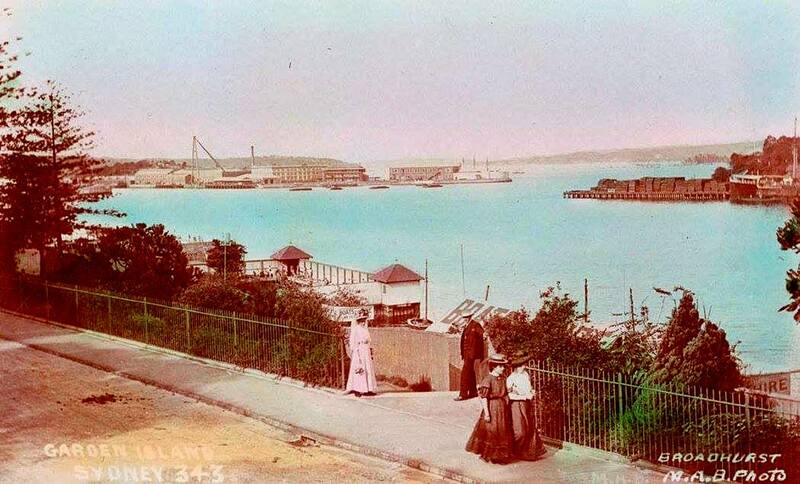 The seawall - also known as Cowper's Wharf - was completed between 1861 and 1863. There were jetties out into the bay prior to the reclamation, but the water was too shallow for anything other than small craft. 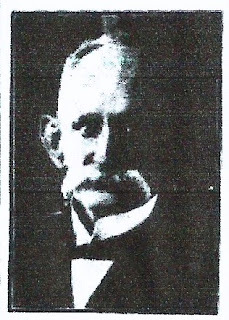 There were boat-builders, like Dan Sheehy. There were timber mills like Fairfax. There was a boatshed, like Punch and MGrath's. But the water was too shallow, and the unloading process too precipitous. There is a myriad of maps available to befuddle the enthusiast; hardly any of them agree, with many trying to show changes over time to the one site. I have chosen to use this map for its clarity even though it labels Wharf 11 as "W.A. McArthur" instead of Brown's Wharf. Brown (and his brother) built the wharf, whereas McArthur was a shipping agent. More on that in a separate post on Wharf 11. 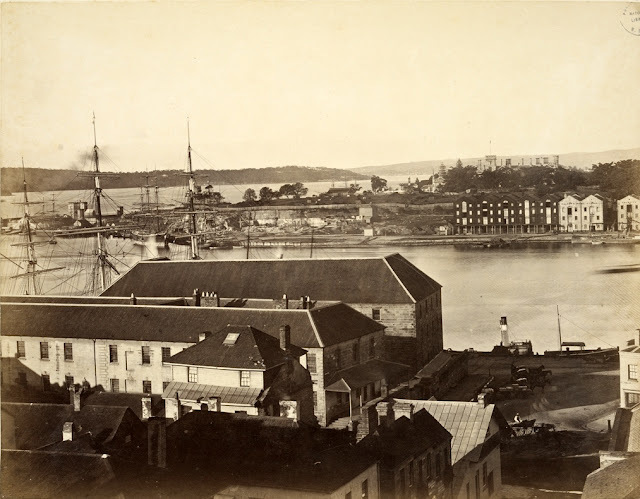 Between 1863 and 1872, the scene was set for expansion. The seawall went in. The land behind the wall was reclaimed, partially using the immense rocks that created a barrier between the wall and what today is the Art Gallery of NSW. 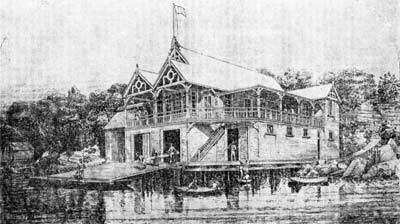 Punch's boatshed, and his hotel took pride of place, even though Jem was too busy with his sculling, his international competitions, and his hotel in Pitt Street to spend much time there, leaving it to his brothers. (Jem died an early death in 1880, aged just 40). 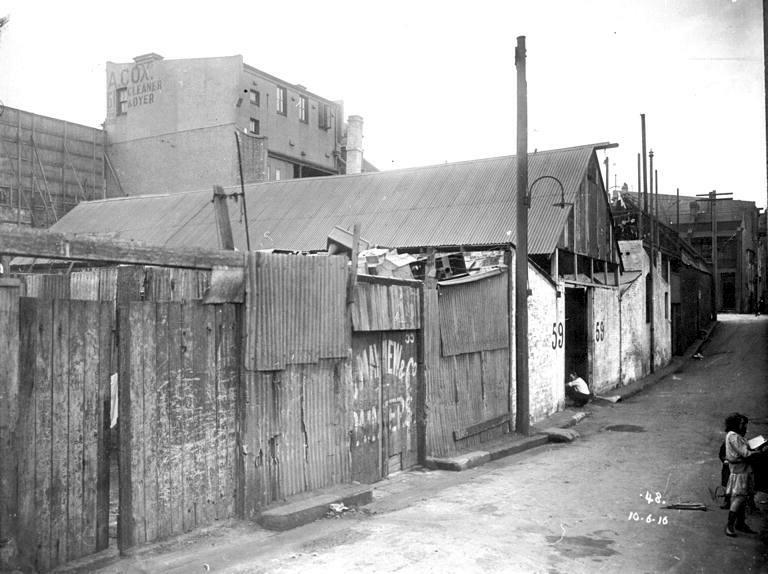 Where the legendary Jem Punch constructed his boatshed when the seawall was being constructed, is very close to the site where Hy Press sited his own boatshed, sometime prior to 1892. 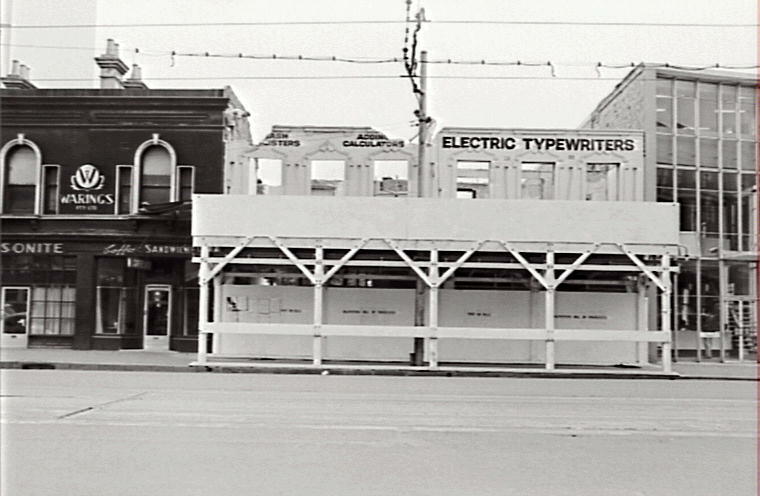 It, too, was a victim of the descration 0f the suburb of Woolloomooloo in the 1960s and 1970s. He had few financial resources, but made up for that with resourcefulness of character. According to Gavin Souter, Henry scooted up to the Palmer River goldfields in Queensland, making himself a small fortune. Sufficient to return to Sydney in 1884, marry Annie Kenny, and for their first child (Carl Henry) to be born in 1886 in Potts Point. HCP was now aged 36. The first reference to the H.C. Press boatshed on the western shore of Woolloomooloo Bay was in 1892, but it was not not good publicity for the venture. Some yahoos hired a boat, got into difficulty, and two of them drowned. Did HCP ensure they were capable? Did he ensure they were sober? Did he excercise "Duty of Care" prior to that term being devised. He wasn't tarred and feathered over the incident, but rules were tightened. By the turn of the century, Henry and Annie had five children: Carl 1886, Wilhelmina 1987, George 1889, Sydney 1890, and Annie 1891. HCP was living at 11 Grantham Lane, Potts Point when his second child was born in 1887. A year of immense change for the bay, Garden Island being leased to the Royal Navy, and construction work beginning. Between the turn of the century and his death in June 1925, HCP continued to show his resourcefulness. He developed another boatshed (this time together with picnic ground) down at Audley. He developed a picnic ground and dance hall, called Palmer Pleasure Grounds, on the tip of the Castle Cove peninsula and a wharf on the southern shore around 1910. People came from all over the city for a day's outing there, especially on Sundays. He tried to convince Annie to move there, but he died in Sutherland, so that obviously went over like a lead balloon. 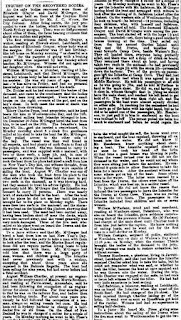 Come the end of "The Great War", HCP was aged 68, with three sons hovering around thirty years of age. By the time of their father's death in 1925, the sons (especially Carl) were steering the family concern in different directions. They diversified (slightly) into boat building and racing, with a legendary series of yachts named after HCP: H.C. Press I, H.C. Press II, and H.C. Press III. They continued to prosecute their father's entrepreneurial skill and mindset with hard headed bargaining with governments with regard to leases and businesses at both Audley and Middle Cove. Come the 1960s, the "white shoe brigade" blew their whistle, and the walls came tumbling down. Out with the old; in with the new. Bulldoze a Cahill Expressway here. Shaft through an Eastern Suburbs railway there. Stick it right to the inhabitants of this most treasured of suburbs, by using their streets, their house-blocks, their parks, to distribute traffic to the east. They only live there - like their parents before them; and THEIR parents before them. Woolloomooloo Bay has led an extremely busy, and cluttered, life. It is more peaceful now, perhaps, than it has ever been. And I attribute this to government interference, to the "nanny state" if you will, although, personally, I despise that term. 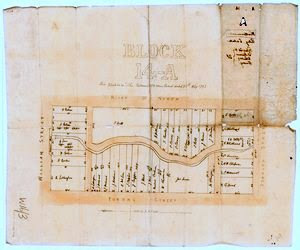 When Governor Phillip set the boundary of Sydney Town in 1792, Woolloomooloo, "the suburb", and the head of the bay, "Palmer's Cove" as it was then known, were outside the official town limits. But NOT the Domain, the "governor's demesne". Meaning that the suburb was a free-for-all for developer's and capitalists, and The Domain was tightly controlled by government. 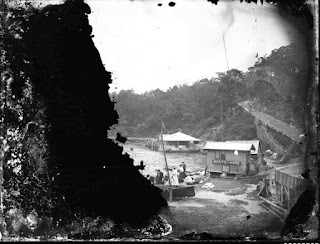 This is the story of the boatshed that was erected along the western shore of Woolloomooloo Bay by the newly formed Sydney Rowing Club c. 1880. 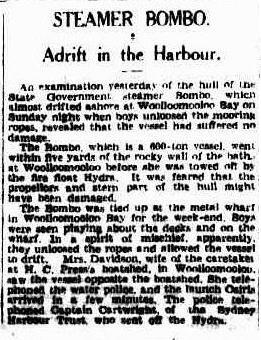 The club hadn't INTENDED to base its endeavours in our (OUR) bay, but the government kept on pushing, don't they all. 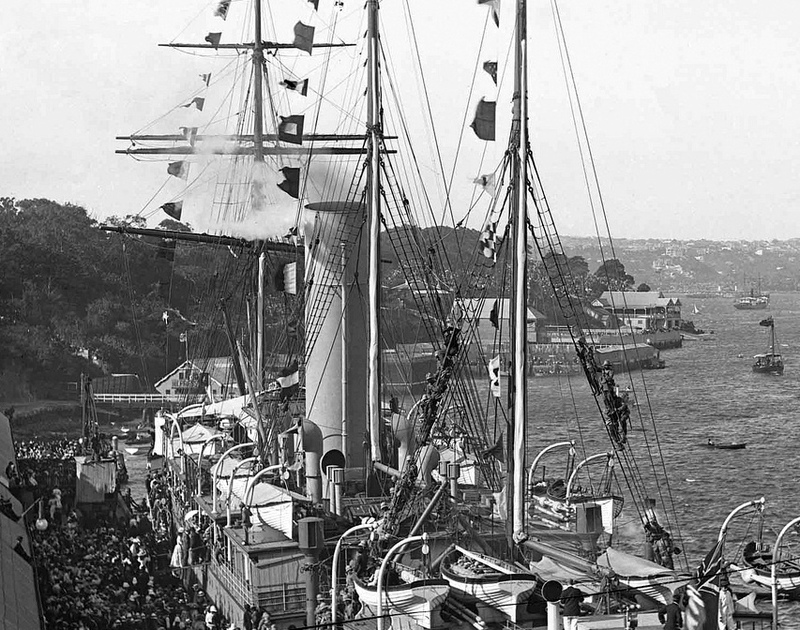 Around a couple of peninsulas, in Sydney Cove, they were where the action was: the main anniversary day regatta being based in Sydney Cove, the birthplace of the nation. But foot by foot (or more likely, chain by chain) the government kept finding other uses for the land, and the area became unkempt. So, they agreed to move. They had already set up a "branch" out at Abbottsford but ... well one's head office had to be somewhere prestigious. So, the committee negotiated the site adjacent to the Corporation Baths for Gentlemen which had been erected on the Domain shore (western shore of the bay) from 1858-1860. And they went full-out for glory. It looks a magnificent structure in this drawing, but even better in the photograph that follows. It had verandahs on three sides, with a stupendous view down the harbour. Ho, I bet they were ticked off when the government handed Garden Island over to the British Navy and then built all those buildings on it. AND ... when back in Australian control, built a massive graving dock that simply encouraged big war boats to desecrate the peace and beauty. But, I get ahead of myself. In 1922, this gracious building was burnt to the ground, a la The Garden Palace over the ridge, just 40 years earlier. They were insured, but that only covers buildings and boats. Not records. Not memorabilia. It all went. They rebuilt but to a massively different tune. Different times. Different requirements. Compare the two buildings. One is elegance personified, the other is a boatshed. 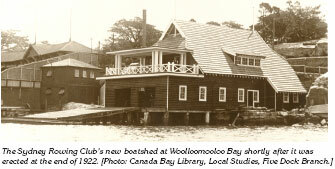 As is obvious from these photographs, the original boatshed at East Circular Quay was not remoed to Woolloomooloo Bay. It was a totally new building, and new concept, which was erected there. The pain when it was burnt must have been immense. Yet, the club persevered, and rebuilt. However, by 1947, it must have been obvious that Sydney and its harbour had changed, and the rate of change was not going to lessen. Go west young man. Embed yourself in the inner harbour or, in this case, the part which is actually the Parramatta River. So, just after World War II, the Sydney Rowing Club took its skiffs, its oarlocks and its sculls, and moved, plank by plank. Leaving just rubble to be seen from a satellite. It was settled not long after Sydney Cove in 1788. Governor Phillip, the first Governor of the colony, at first allocated the land at the head of the bay to the local tribe of aborigines, the Gadigal tribe. However, by 1792, just after Phillip returned to England, the Lieutenant-Governor, Grose,allocated 100 acres of this indigenous land to a wanna-be pastoralist, John Palmer. The cove was initially known as "Palmer's Cove", into which trickled a small stream, the Yurong Stream. 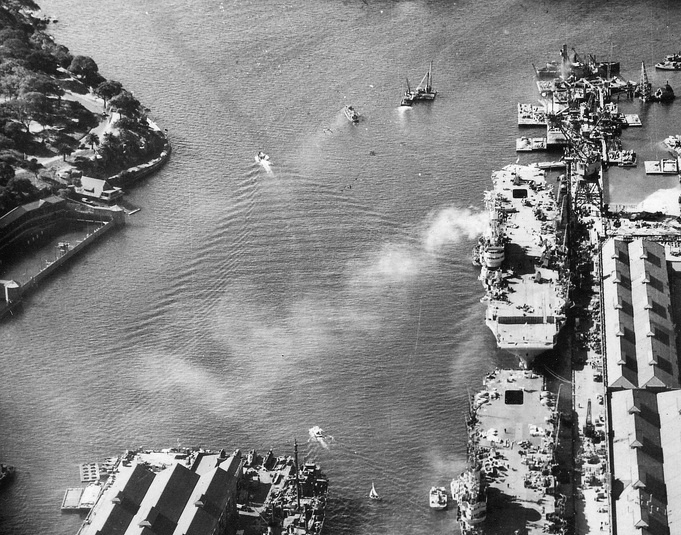 Sydney Cove had its Tank Stream. Farm Cove had its Woccanma Gully. Woolloomooloo Bay had its Yurong Stream. Yurong Lane ome back south of William Street. Looking toard the old National School which is now part of The Australian Museum. 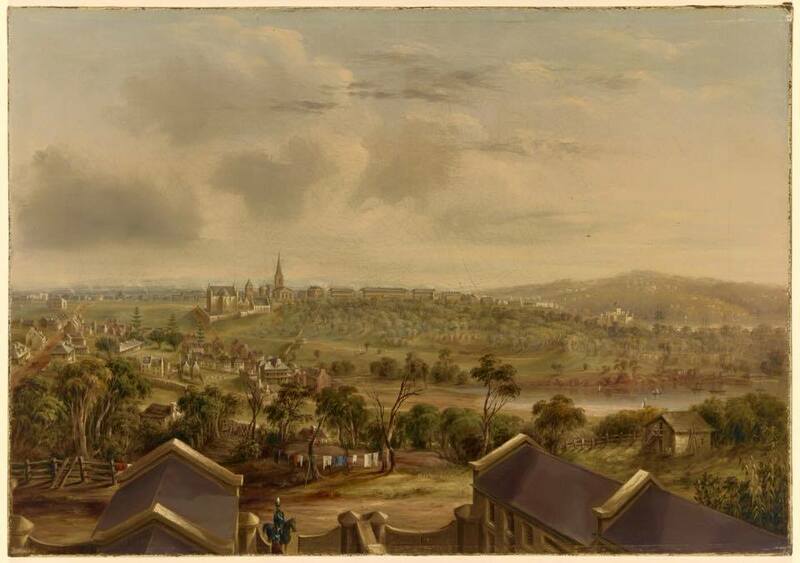 As Sydney developed, the original topography was totally altered, both by pick’n’shovel and by bull-dozer. The pressure of a burgeoning population turned pristine streams, into open sewers, into closed sewers, into redundant infrastructure. It happened to the Tank Stream, and the Yurong Stream is another such casualty in the development of the inner city. As a result of a conversation on FB with Wooloomooloo Insider, I challenged myself to find out about a bridge over William Street, still there, that I did not even know existed. 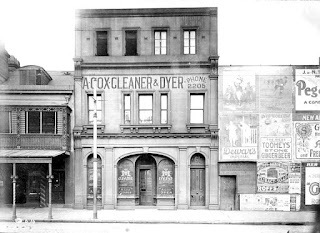 Images taken in June 1916 in preparation for the demolition of th south side of William Street, to allow for its widening from 41 feet to 100 feet. The image on the left is facing west (you can see the National School). The image on the right is facing east. Note the structure about centre of each image which is white, where the man is squatting. This is 59 Yurong Lane. William Street is a major thoroughfare east from the city. It was created between 1836 and 1840, by convict labour. It crossed the Wooloomooloo Valley and progressed up the Darlinghurst escarpment. 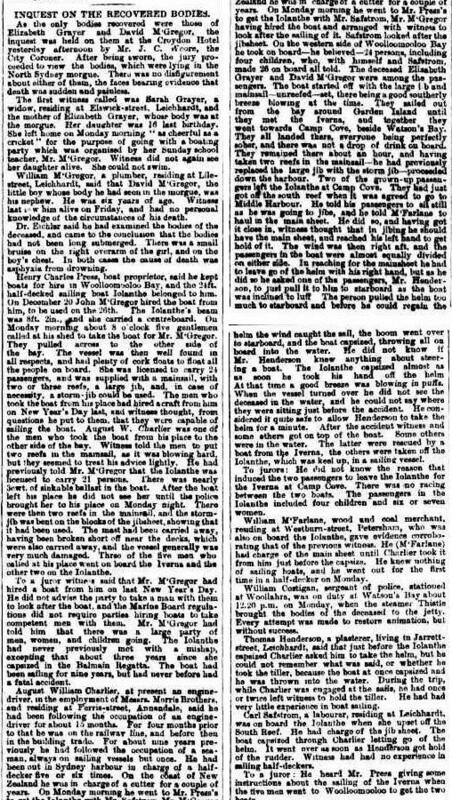 Not where the Surveyor-General (Sir Thomas Mitchell) had planned, but further north where it did not slice through the estate of Sir Alexander Macleay who, as Colonial Secretary, was further up the civil service ladder than Mitchell. All this was very self-serving, as civil servants were the most to benefit by pushing through this road. It meant they no longer had to take the long way via Oxford Street and Darlinghurst Road to access their vast estates. But the real import of pushing William Street through, was that it opened up the valley for settlement by the hoi-pol-oi. The map shows the Yurong Stream, beside Stream St, from Stanley Street on the right to beneath 59 William St on the left. The image shows Stream St today. Much of the topography of the inner city has been obliterated by landscaping: by the lopping of hills, and filling of valleys. However, the stream that William Street had to cross, can still be traced using skerricks of visual clues. I walked the old water course last week, my head filled with equal doses of maps and scepticism The map (above) shows a late 19th century view of Stream street, as it meanders beside the Yurong Stream. The image beside the map shows what it was like last week. Yes, it is very inner-city, two-parts shambolic, and 3 parts run-down. But, look at the LHS of the map where Stream St ceases, but the Yurong Stream continues on beneath the built environment and under William Street. See the representation of the Arch? 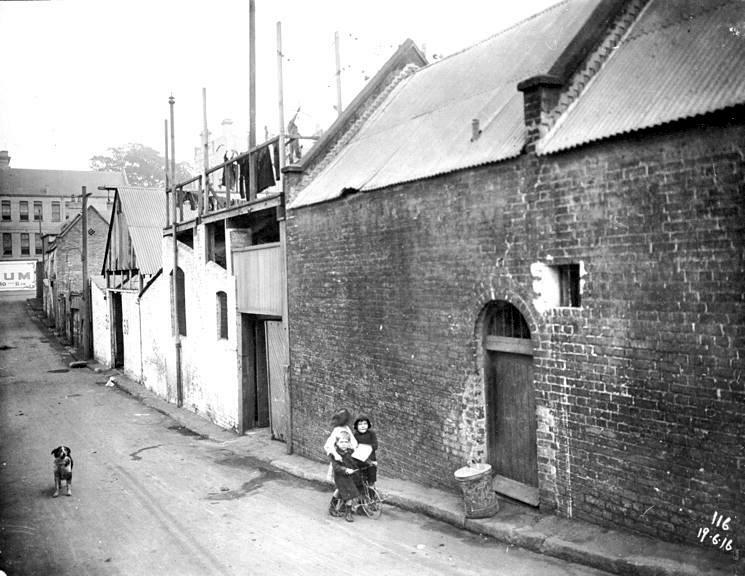 The buildings in these two images stand above the Yurong Stream as it flowed beneath William Street. The image on the left is the north-side of the street which was not altered as a result of the widening. The right-hand image shows the LHS of William St which was extensively altered. The shape of the William St Arch is drawn on the map. Embiggen, and see. The widening of William Street as a result of the 1909 Royal Commission, did not toll the death-knell of the Yurong Stream, as it was already dead and buried, literally. The pressure of population had managed this from 1837 to about 1857. As people are want, the open stream carried away all their effluent and household detritus. It was not just the Yurong Stream that suffered this fate, from stream to buried sewer, but also the Tank Stream, the Hay St sewer into Darling Harbour, the Wattle St sewer into Blackwattle Bay, and the Fort Macquarie sewer into the harbour adjacent to the current site of the opera house. 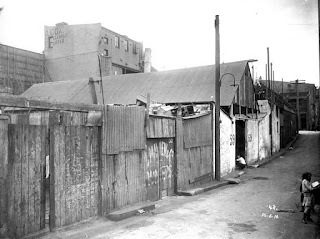 It is interesting to note that 59 William Street in 1916 (RH image, behind the large hoarding splattered with advertisements) was a set of horse-stables leased to Arthur Travers. My guess is that this required very little disturbance of the substructure. This is the "front" entrance, whereas the "rear" entrance I showed you in the Yuromg Lane images at the get-go of this post. 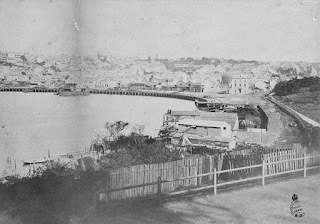 By 1875, "t Woolloomooloo Bay a large bank had formed and sewage floated on the surface of the salt water, oscillating back and forth with the movement of the tides." Beder (1990). 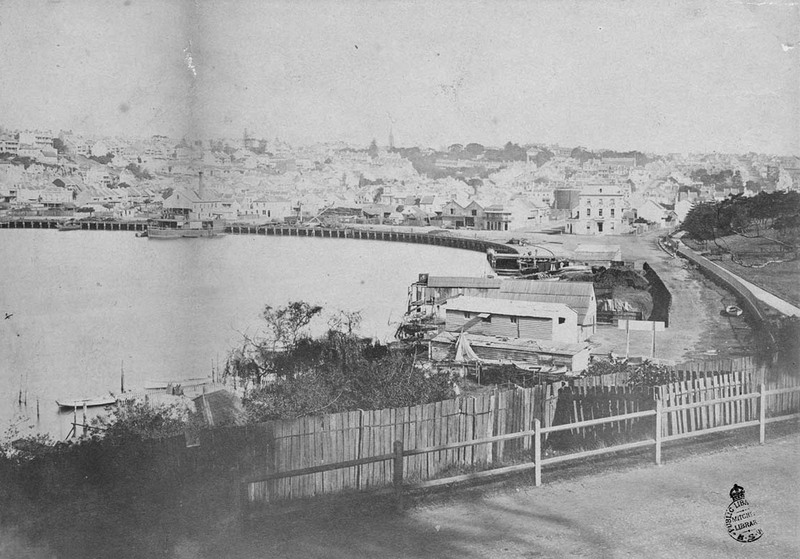 In the period from 1855 to 1875, virtually all of Sydney’s sewage discharged into Sydney Harbour via the sewers built in the 1850s and 1860s. Pasteur’s work on the origins of disease was not published until 1878. 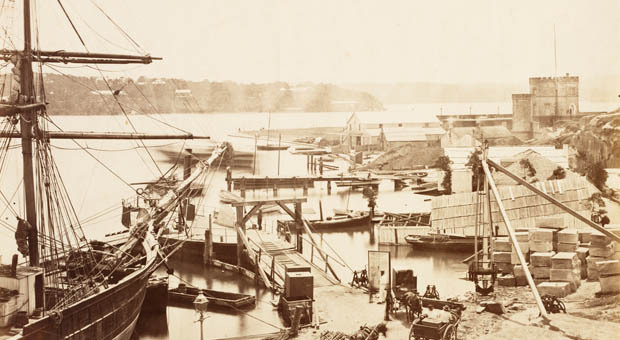 The outbreaks of disease in Sydney in 1857 and again in 1875, mirrored the miasmic outbreaks in Cornwall and Lambeth in Greater London in the 1840s and 1850s. Between 1857 and the 1880s open “flowing” streams and creeks were enclosed, whilst still combining sewage AND stormwater. 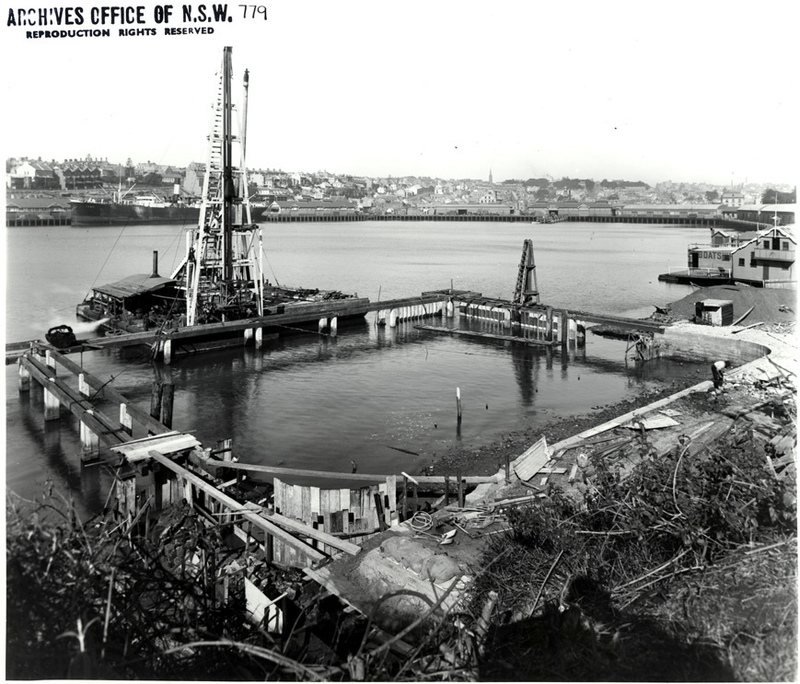 It was not until the advent of the Water Board (under its various names) that the effluent from this burgeoning city was diverted into the ocean, the Wooloomooloo Sewer being diverted to the Bondi Ocean Outfall System (BOOS). This is the current day intersection Of Cathedral Street/St Mary's Rd and Riley St and the Yurong Parkway/ Sir John Young Crescent. This is very close to where the putrid mudflats of Wooloomooloo Bay sloshed. This 1854 map show that this is where the Yurong Stream met a smaller but probably more swift stream, that ran down the slopes from close to the present site of St Mary's Cathedral, about the line taken by the Yurong Water Feature. The main line of the Yurong Stream started as a fork adjacent to the penitentiary, and meandered down, crossing both Liverpool and Stanley Strees, gouging out the route for Stream St, going UNDER 59 William St AND 70B William St, along the wriggle of Busby's Lne, and hence into the bay about where this image shows nowadays. Which, in my opinion, puts a lie to this bucolic scene. The topography looks fairly accurate to me, and the 1849 date od the representation, means that the stream was stiull open, even though leaning toward sewer rather than pristine scene. William Street is on the extreme LHS, and St Mary's eventually gets totally swung around after its rebuild. 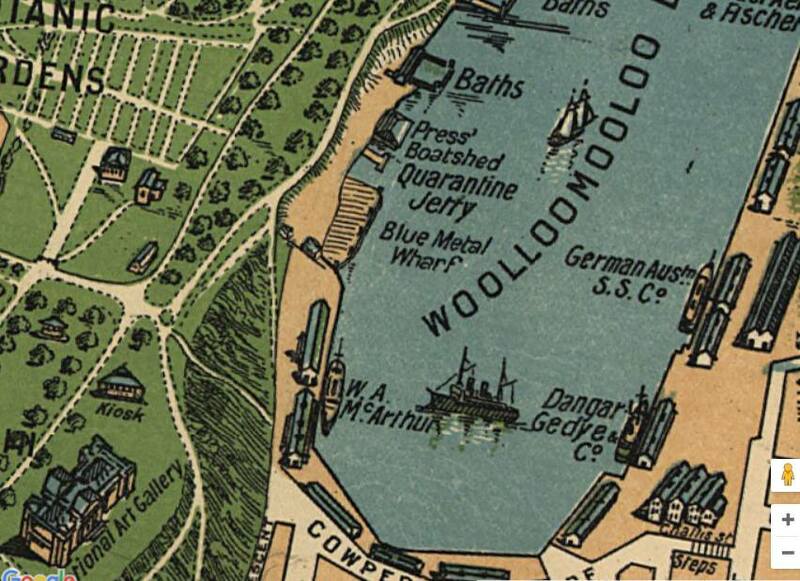 I know there were swimming baths in Wooloomooloo Bay, but is is difficult to understand that these baths could have been prior to the 1880s cleanup of the effluent. However, little was know about the effects upon public health until about this time, and poerhaps swimmers did not realise that these conditions gave rise to typhoid. And here is an image of the William Street Arch, now home to the indie group, “Underbelly Arts”. The image I found in the 2014 brochure for the Historic Houses, ”Sydney Open”. One can see the pipe through which the stream/effluent charged. This is surrounded by the southern wasll which would have been parallel to William St. 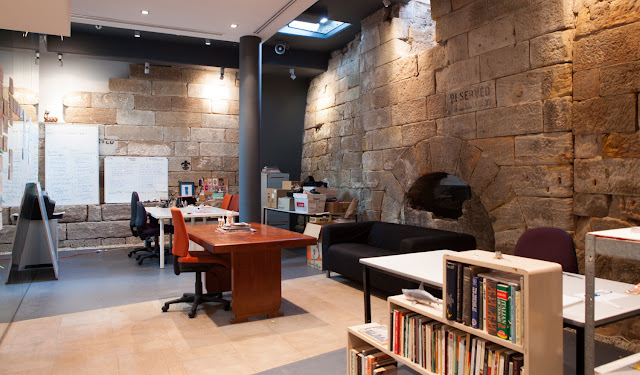 In front of us, at right angles to this southern wall, is the stone-faced embankment of the infrastructure. I am reticent to claim it as the 1837 version of the “bridge”. 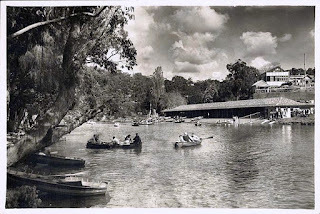 It could be the 1857 upgraded facility for the Wooloomooloo Sewer. A tram disappearing up Hay Street, Haymarket, heading for Central Station. Hanging over the Hay Street overpass that is Pier Street, Haymarket. Looking towards The Entertainment Centre. City railway viaduct over Campbell Street, Haymarket, with Elizabeth Street, Surry Hills in the background.